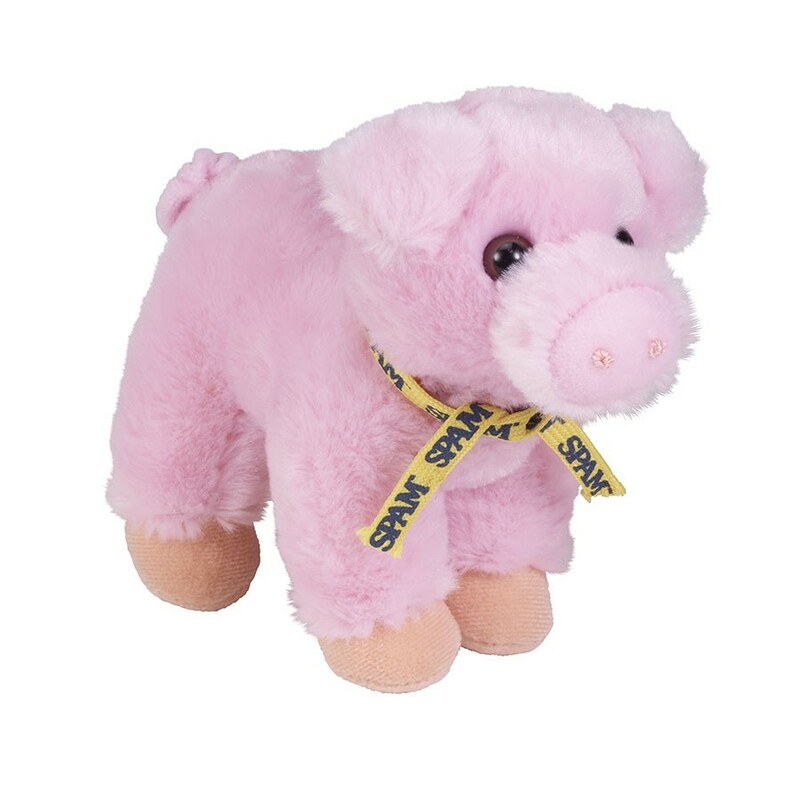 This adorable plush pig stands about 6-1/2" tall. Give him a squeeze to hear him oink. Yellow and blue SPAM® Brand tie around his neck. For ages 3 years or older.